Youth hostels are for backpackers and serious hikers, right? Wrong. In recent years, families have found that YHA hostels make ideal bases for affordable and fun holidays in some of the UK's most exciting and scenic locations. At Easter 2014 the best holidays with kids can begin with a YHA family room reservation. For many families looking for a getaway at Easter 2014, the best holidays with kids will be those that don't break the bank. During the school holidays, flights and accommodation costs rocket meaning many families will opt for economical breaks closer to home. An increasingly attractive option for families is the extensive network of youth hostels across the UK. Once the province of serious hikers and teenage backpackers, the YHA hostels now offer great facilities for families, with private, ensuite rooms, play areas, games rooms, restaurants and self-catering facilities. With many of the hostels located in romantic or historic old buildings in scenic locations, they can make ideal bases for hiking or cycling trips, if the fickle Easter weather is obliging. 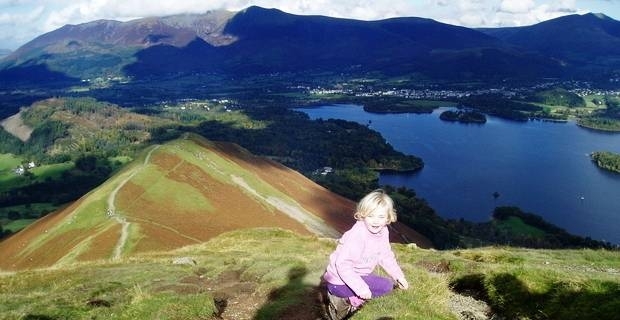 Popular destinations include the Lake District, where there are several enticing YHA hostels. Buttermere hostel overlooks the serene lake, while the Borrowdale hostel is the perfect base for a family hike over the Cats' Bells fell, with spectacular views across Derwent Water. Further south, the Peak District National Park is one of the UK's most popular family destinations. YHA hostels in the region include one in the spa town of Matlock and the 17th-century Hartington Hall near Buxton, with a restaurant and nearby cycle trails. To get the Easter 2014 best deals on holidays with kids in a YHA hostel, take out a family membership, which offers discounts and perks like free WiFi. Look out for seasonal deals that can include meals with accommodation. The website offers nearby alternatives if your chosen hostel is fully booked. Looking for a farm holiday rental cottage in Sussex, Dorset or UK in general?